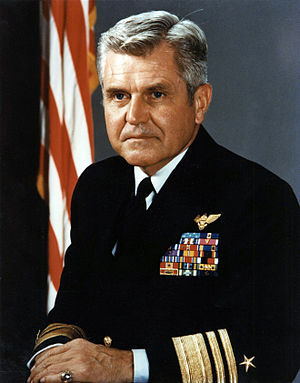 “You must never confuse faith that you will prevail in the end with the discipline to confront the most brutal facts of your current reality, whatever they might be.” – Admiral John Stockdale, USN. How do you align the business with IT? How do you confront the reality of a business strategy when it represents a threat to the status quo? How do you align that direction with a portfolio of projects that incrementally deliver on the desired change? In order to transformation a business, company, division, or team, you need to assemble many disciplines and techniques including but not limited to: business strategy, enterprise architecture, project management, personal development, communication, and training. There are many books, white papers, and commentary on business strategy, project management, change management, IT governance, and organizational design. However, I rarely see any transformational thought leadership that describes these concepts as organizational capabilities, or services that work together in unison. When teams have raised their capability to deliver multiple skills like this, they position themselves better for success. In order to transform an organization, the organization needs to position itself for success by building the capability to change, or transform. Too frequently, leaders assemble only one or maybe two of the disciplines listed above to deliver significant change. Calling on Admiral Stockdale’s profound leadership, transformational leaders should have confidence in the 1 or 2 skills they have brought together to drive change, but they should also confront the reality that most transformations fail. Have you assembled all the skills and capabilities you need to be successful with your change? What additional capabilities does your team need to better position you for success? Confront your reality and adjust your team to bring more transformational capabilities to the table. Which bucket are you operating in: “because of” or “in spite of”? Want to know how you can positively impact your own skills profile, a one-on-one discussion, team discussion, or leadership team? Go get two buckets. In the first bucket, place all your or others positive, encouraging, or productive comments. This is the “because of” bucket. Each of us are successful for different reasons. Think…”I am successful or effective ‘because of’ [insert reason here]”. How big is your “because of bucket”? What is in there? What would others say is in your “because of” bucket? Take inventory of the content of your “because of” bucket and leverage it. In the second bucket is the “in spite of” attributes. Individuals, meetings, and teams are successful “in spite of” things too. Perform the same analysis here too. You are successful “in spite of” several attributes. Take inventory, and learn to minimaze or neutralize these attributes. By doing so, you will do yourself and your teams a favor. In your change teams, practice the two buckets on a personal level to encourage development, and on a project and team level to marginalize bad behavior. The change agents in your teams should always look for “in spite of” behaviors, discussions, comments, and attitudes. Make this second nature, like walking or breathing. Get your teams to a point where they dont even think about the two buckets, they just instinctively “bucketize” things as a part of their normal course of business. Start with a personal assessment of yourself, and move out from there. Everyday, challenge yourself and your teams, which bucket are you in? Is the change successful “because of” your actions or “in spite of” your actions?